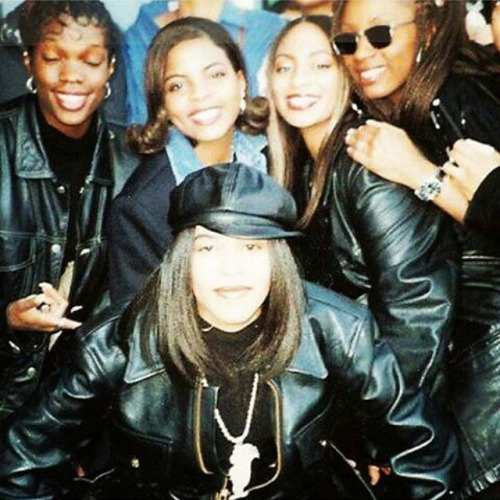 Repost via @taurastinson: “Me and my Sissy @brelyevans along with Renee, Maxee and Aaliyah. We were on the set of the live recording/video shoot of the song "Freedom” written by my Sisfrie @tennesseeslimkitty ❤️❤️❤️ #RIPAALIYAH #RIPMAXEE #BEAUTIFULSOULSONEARTH #ANGELSNOW #LIVEYOURLIVESPEOPLE" | This is just history in the making! The power in the ‘Freedom’ video is so relevant to what is going on around in our world. Thank you for sharing this beauty! Much love!